The Scout troop is open to boys and girls aged 10½ to 14 years old. Our Scouts section meet on Monday nights (7pm to 9pm). To be kept up-to-date with news, photos from meets and goings on, for current parents/carers please join our closed Facebook group: search for ’49th Cardiff (1st Rumney) Scout Group’ or click here. The cost of our Group is £10 a month (September to July) per young person which goes towards weekly meeting fees, badges and running costs of the Group such as equipment and hall maintenance. To keep costs down though, we run a few fundraising events throughout the year which we hope parents/carers will help with. 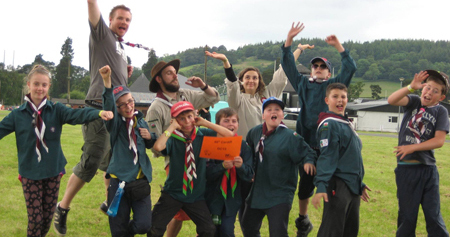 There is also an annual ‘Capitation fee’ payment to The Scout Association in January. This year (2017) was £46. The Capitation fee covers the cost of running The Scout Association and includes such things as membership and insurance.